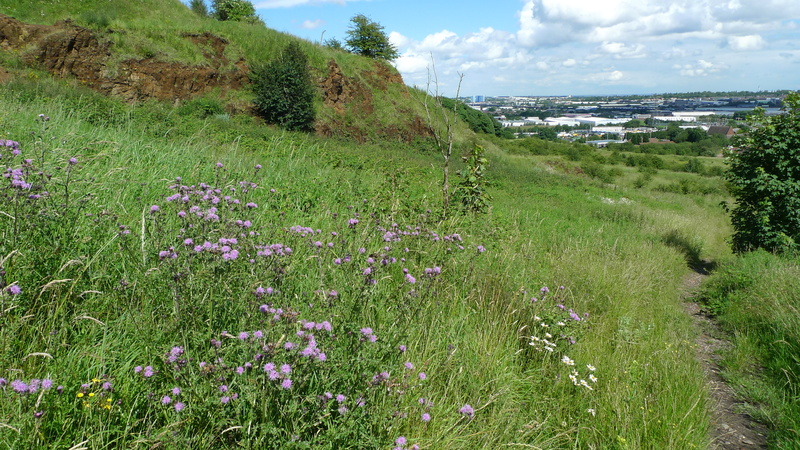 Seven green areas across Sandwell, including Portway Hill in the Rowley Hills, are set to be added to a list of nature conservation sites. Portway Hill is currently designated as a Site of Local Importance for Nature Conservation (SLINC) but its status may soon be upgraded to that of a Site of Importance for Nature Conservation (SINC). The designations provide up-to-date evidence for planners to protect local nature when making planning decisions. This could mean that Portway Hill receives better protection from any potential future threat of development. For more information, visit http://www.sandwell.gov.uk/news/article/4424/seven_green_spaces_set_for_conservation_list. Part of the Portway Hill site. This entry was posted in Nature & conservation and tagged Black Country, conservation, Friends of Rowley Hills, Portway Hill, Rowley Hills, Sandwell Council, SINC, West Midlands on September 30, 2017 by janetav.